Daegonlot: a floating island seperated from the mainland of Darkenfel, and home to the last of the dragonriders. They have settled in the city of Goldenspine and allowed the rest of the world to forget them. At 16 years old, Daxon knew he was too old to be chosen to be a dragonrider. On his way home one night he was surprised when a wild dragon's egg was left in his care by the largest dragon he had ever seen. Agreeing to raise and protect the as yet unhatched egg, his hopes to become a dragonrider once more blossom, but again, fate intervenes. 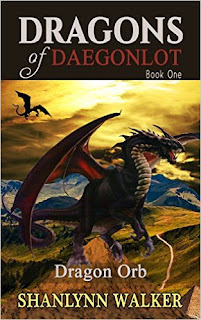 When the young dragon hatches, Daxon's world is turned upside down and thrown into chaos. After learning of a mysterious orb and the possibility that it might hold all the dragonrider's dragons in thrall, he is determined to not let the same fate befall his young charge. He must find a way to protect the hatchling from the fate of the other dragons and a way off of Daegonlot before it's too late.